Best HEPA air purifiers with UV (ultraviolet light systems) are now the first choice for educated consumers with dust, allergy and asthma problems that also want to eliminate biological contaminants. These UV units are being purchased and utilized in both home and office indoor air environments. That is because they filter the air of dust, allergens, pet dander, off-gassing chemicals. They also destroy airborne viruses, bacteria and mold spores. These triggers create a multitude of respiratory problems and immune dysfunctions that are on the rise in alarming numbers. This is due to the poor indoor air quality in our living and working environments. Without quality HEPA air purifiers with UV light systems operating in our living spaces, indoor allergens and biological contaminant problems will worsen. This is because of our lack of fresh air flow in the air tight, energy efficient homes and buildings. The places that we now live and work in. The contaminants people are breathing are lowering their immune systems and making entire families, pets and office workers chronically ill! This trend of people becoming ill from poor indoor air quality is occurring in alarming numbers! Air Purifiers Made In China Are Low Quality, Leaky And Not Sealed Properly. Stay Away From Them! 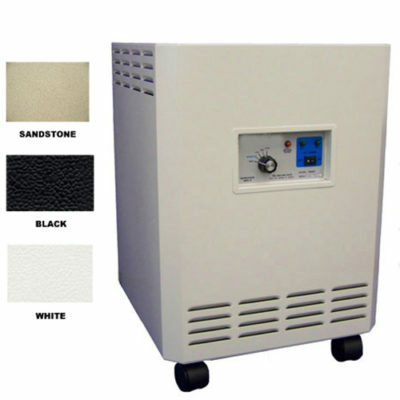 Which are the best HEPA air purifiers with UV light systems that we have tested. The TRACS HEPA air purifier (Made In The USA) and the Airpura UV600 HEPA air purifier (Made In Canada). These units are proven to do the best job of quickly and quietly. Because they actually clean the air of dust, allergens, pet dander, chemical off-gassing while destroying biological contaminates. 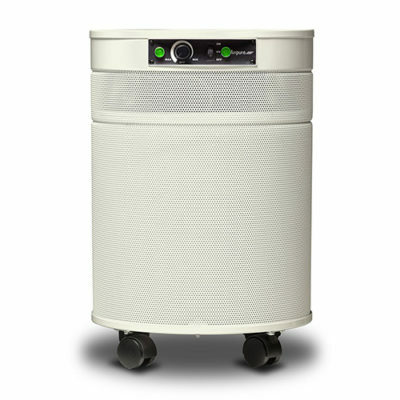 These two HEPA air purifiers effectively remove allergens, destroy airborne viruses, bacteria and mold spores. They do this in spaces up to 1000 square feet! Cleaning is better for areas of less than 1000 Square feet because of a higher air exchange rate per hour! Both the TRACS and Airpura UV600 HEPA air purifiers with UV light system contains multiple pounds of replaceable activated carbon. This is to absorb odors and chemical off-gassing from carpeting and home furnishings. Both units will produce 13-15 air exchanges per hour in an average bedroom size area! Most customers will place one unit in any bedroom where people are suffering and another unit in the family room. This is because this is where where family members spend the most time! Also they can easily walk from one main living space to another while always enjoying the clean purified air! Businesses often purchase the TRACS or the Airpura UV600 for office workers that are prone to being sick. They want their workers to be healthy, happy and productive! Please click the link or image for the TRACS or Airpura UV600 for more information on these two units. They both are superior air purifiers with UV light systems! If you have any questions on these two units or about indoor air quality concerns in your home or office. Please Call Barry Cohen the owner of https://www.aircleaners.com for a FREE consultation at Toll Free 1-888-578-7324 or on his direct line at 561-629-5618.